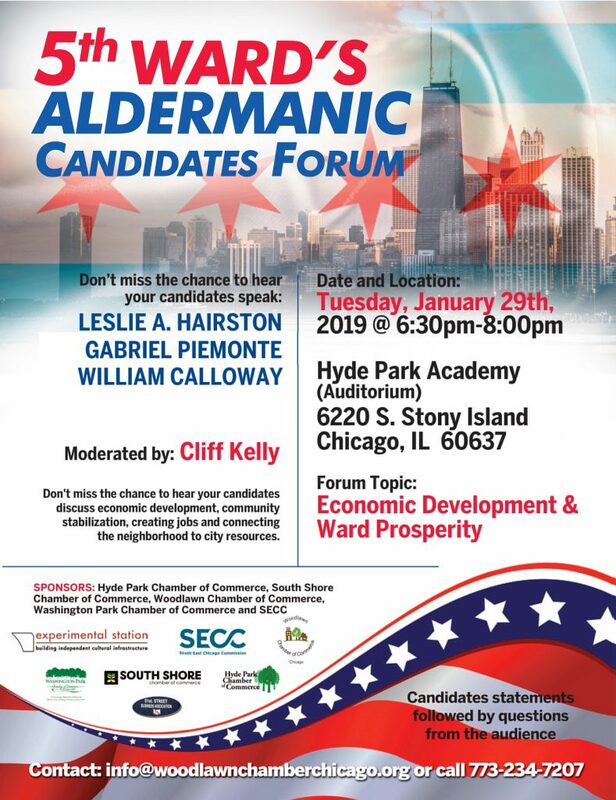 The 5th Ward’s Aldermanic Candidates Forum will be moderated by Cliff Kelly to discuss economic development, community stabilization, creating jobs and connecting the neighborhood to city resources. Sponsors include the South East Chicago Commission, Hyde Park Chamber of Commerce, South Shore Chamber of Commerce, Woodlawn Chamber of Commerce, and Washington Park Chamber of Commerce. at Hyde Park Academy (Auditorium) on Tuesday, Jan. 29th at 6:30pm.